In the past several months, journalists in major publications such as Forbes, the Huffington Post, the Washington Post, the New York Times and Mother Jones have concluded that recycling rates have stagnated. They tend to blame the recent downturn in materials prices. They’re half right. Recycling levels have stagnated in many cities and towns, largely in the South and Midwest, and the national average of 35 percent has not moved much in more than a decade. But it is not economics that keeps recycling stagnant in parts of the country. Rather it is a stagnation of citizen activism. Where citizens remain active, recycling levels continue to rise to unprecedented levels. Even as markets for recycled materials fluctuate advanced recycling cities realize that avoided costs of replacement landfills and incinerators and an expanded economy more than compensate for temporary low market prices. Since the advent of the modern recycling movement post Earth Day 1970 advocates have faced great odds. Not only did they have to persuade a skeptical public to embrace recycling before it was economically viable, but even more a skeptical and often downright hostile solid waste bureaucracy that abhorred the idea of having to rely on tens of thousands of households and small businesses changing their daily behavior rather than as they traditionally had, on a handful of large haulers and landfills and incinerators and expensive compacting trucks. They had to deal with Wall Street firms that embraced capital intensive waste handling strategies, large hauling and landfill companies that dominated market share, virgin material companies that did not want to compete with 40,000 local governments, federal government subsidies and several national environmental organizations that enthusiastically embraced the most capital intensive strategy of all—incineration— as a benign waste-to-energy solution. Recyclers often had to create a market for recycled materials and convince manufacturers to use them and retail stores to buy them. But in hundreds of cities and towns, citizens overcame these obstacles and enacted policies and new rules that over the next few decades created a new waste ecosystem. This article examines one city, Los Angeles, that underwent this revolution, moving in 30 years from virtually zero to just under 80 percent recycling by exercising their franchise as well as using their voices (and sometimes their bodies) to argue for environmentally and economically benign policies and to protest against a continuation of business-as-usual. Los Angeles actually started from less than zero. In the beginning Los Angelinos voted against recycling. In the 1961 mayoral campaign, candidate Sam Yorty made an issue of a new program requiring residents to separate metal cans from the rest of their trash. He denounced this requirement as unduly burdensome and won the election, it is commonly thought, at least partly on the strength of his promise to end the program. Los Angeles, a sprawling city of almost 4 million people, adopted a collection and disposal approach. The region’s sprawling Puente Hills Landfill, the largest landfill in the United States, had a capacity for as much as 4 million tons per year at the low price of $35 per ton setting the market for landfill tip fees in the region. By the mid 1980s, the burgeoning volumes of waste generated by a growing postwar population combined with a growing per capita waste stream threatened to overwhelm Puente Hills and regional landfills. 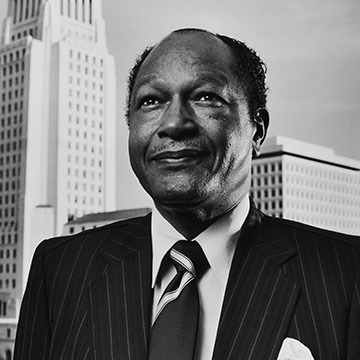 In 1985, the Bureau of Sanitation, with the support of then-Mayor Tom Bradley, proposed the LANCER (Los Angeles City Energy Recovery) plan involving the construction of five 1,000-ton-per-day incinerators. “LANCER was to be the foundation of the 21st Century Solid Waste Management Solution,” the city proclaimed in a 1986 press release. All the incinerators were to be located in low-income and minority areas of the City of Los Angeles. The community reaction was immediate and visceral. Residents of the areas adjacent to the first site chosen for an incinerator formed the Concerned Citizens of South-Central Los Angeles. The Friends of the Santa Monica Mountains, an established group that had successfully defended the mountains from commercial development, joined with Concerned Citizens. Together they forged unusual alliances among hitherto unrelated high voter turnout constituencies: homeowners’ associations from wealthy and middle class communities, academics, several national environmental organizations and small businesses concerned that the high cost of LANCER would require stiff tax increases. The coalition benefitted from the Miller Brewing Company’s position against garbage incineration, which was concerned about the effects of additional air pollution on its products and packaging. 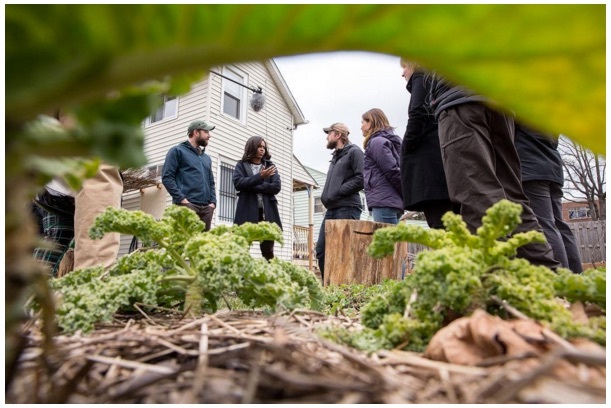 The Institute for Local Self-Reliance (ILSR) served as a technical advisor to grass roots coalition leaders. ILSR, working at the same time for the Philadelphia City Council codified environmental data and alternatives to incineration. In Los Angeles, the battle against incineration resembled similar citizen lead efforts to stop incineration in Santa Rosa, Berkeley and San Francisco. LA City Council hearings were structured so as to sideline community opponents Representatives of the incineration industry as well as public works officials supportive of incineration were given hours to present well-polished testimony while citizens were allotted three minutes each for rebuttal. The citizenry creatively united to pool their time to allow for a coherent and fact-filled testimony in opposition to the incinerators. Air pollution experts and epidemiologists, supported by national and local lung associations, supported their case. State Senator Ray Torres provided extensive support to his constituents on the issue. So too, did US Representative Augustus Hawkins who supported recycling as a component of his efforts for federal full employment legislation. Eventually, the coalition of diverse citizen and small business groups prevailed. In late 1986, Mayor Bradley, citing environmental concerns, withdrew his support of incineration. To his credit, the Mayor immediately pivoted to recycling. A key to the success of the program was his recruitment of dedicated and talented personnel. Felicia Marcus, director of the hard-hitting and effective environmental group Heal the Bay became chair of the Board of Public Works. Joan Edwards, a highly -respected solid waste and recycling manager from New York City, headed up the newly formed Office of Integrated Solid Waste Management that immediately reached out to citizens and the private sector for guidance. The Office worked directly with the Mayor’s Office of Business Development. Lupe Vela, from the City Planning Department, became Edwards’ top aide and proved highly adept at her job. From 1987 to 2003 Ruth Galanter, formerly chair of the California Coastal Commission, served as the voice of recycling on the City Council. Simultaneous actions at the state level reinforced city level recycling actions. In 1986 citizens in Los Angles got a boost when their pro-recycling brethren around the state convinced the California legislature to enact a Bottle Bill. The State used unredeemed deposits to pay not only for the administration of the law but also for grants to cities and recycling organizations, grants that enabled investment in recycling infrastructure as well as public education, and employment training for youth. In 1989 the California Integrated Solid Waste Management Board was formed to help coordinate solid waste and recycling efforts. Then in 1990, an unprecedented political consensus fueled by a crisis in landfill capacity led to the passage of landmark recycling legislation. AB 939, the California Integrated Solid Waste management Act, mandated 25% recycling by 1995 and 50% by 2000 and provided for incentives and funded an array of new programs, including curbside and commercial recycling, electronics and C&D recycling, collection of organic materials, backyard composting, and green building programs. 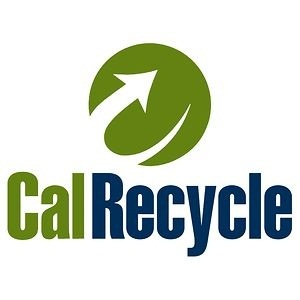 The Department of Resources Recycling and Recovery (CalRecycle) was assigned oversight of a new, comprehensive disposal reporting system and of facility and program planning. With this law, which remains foundational for recycling efforts in California to this day, the State established a new waste management hierarchy: in order of preference, reducing waste generation, reuse, recycling, and environmentally sound landfilling. The current State recycling goal is 75% by 2020. 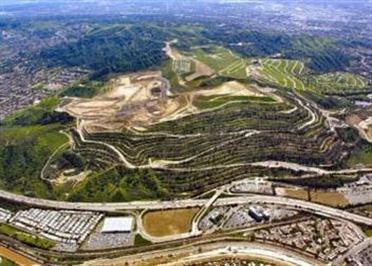 The state achieved its 50% goal in 2013, ironically the same year the Puente Hills Landfill ceased operations. The state still considers the possibility of ‘conversion technologies’, or new forms of incineration. The California legislature also created Recycling Market Development Zones (RMDZ): industrial parks exclusively for recycling, reuse, and composting businesses. Administered by CalRecycle the RMDZ supports new businesses and fosters the expansion of existing ones through attractive loans, technical assistance, and free product marketing to businesses that use materials from the waste stream to manufacture their products and locate in specified zones. The zones cover roughly 88,000 square miles of California from the Oregon border to San Diego. There are now 37 resource recovery parks in urban and rural California jurisdictions. There are ones in Alachua County, FL, Austin, and TX. Transfer stations and MRFs have been adjusted to accommodate related processing businesses. In Los Angeles the transition to recycling was a multiphase effort, beginning in the late 1980s. At first, the Department of Sanitation planned to subcontract to Browning-Ferris Industries, Inc. (BFI) one of the nation’s largest waste handling firms for all citywide recycling services. The agency preferred to oversee one or a small number of firms, just as it had preferred to rely on one landfill or a handful of incinerators and a fleet of compactor trucks. But grassroots organizations objected to handing over this new initiative to an old player in the traditional waste disposal industry, a move that would undermine existing locally based haulers. That plan was accordingly shelved. Today there is curbside collection by unionized city crews and delivery to six independent materials recovery facilities (MRFs) and composting companies that bid for the city’s materials. About 300 private sector jobs in processing at MRFs and composting facilities were created. In 1991, the City’s Office of Cultural Affairs established LA SHARES, which pioneered in the use of the Internet to connect companies that have surplus property with community organizations and City agencies that serve the public. The city’s Office of Integrated Solid Waste Management funded the transition of LA SHARES into an independent non-profit organization in 1994. LA SHARES is a growing source of computers, office furniture, office supplies, cosmetics, art supplies, and school supplies. This program, operates as a working partner with the Department of Sanitation, diverts tens of millions of dollars’ worth of merchandise annually to the public good, relieves companies of disposal costs, excess inventory expenses, and saves hundreds of thousands of cubic feet of landfill. By the early 1990s Los Angeles’ initial efforts had raised its recycling rate to 20.6 percent. Five years later it had more than doubled to 46.8 percent. And by 2000 it had achieved possibly the highest recycling rate in the country: 65.2 percent.. 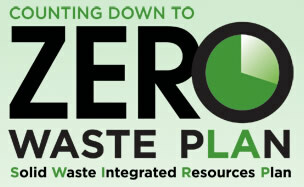 In 2007, the City launched its Solid Waste Integrated Resources Plan, a bottom-up process by which citizens participated in the development of a 20-year master plan focusing on recycling and economic development. Over two years local and national experts conducted hundreds of meetings with citizens and stakeholders, providing them with various options to increasing the diversion rate. Ultimately the city adopted a goal of 90 percent landfill diversion by 2025. The plan would also consider the adoption of so-called conversion technology that includes incineration technologies such as gasification (considered a form of incineration by government agencies) and anaerobic digestion of organic materials. To date no conversion technology proposals have been put forward. 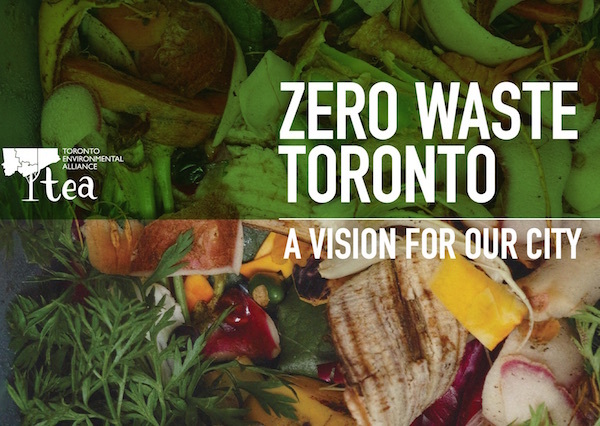 Implementing food waste recycling at 1,200 participating restaurants and creating a pilot program for residential good waste collection. Mandating construction and demolition waste recycling ordinance. Launching drop off centers for batteries and paint. In August 2015, to increase the recycling rate in low-income communities, where participation has lagged due to the many other pressing concerns of residents, Greg Good, Director of Operations, City Services, Office of the Mayor, and Karen Coca, Manager of the Solid Resources Citywide Recycling Division, LA Bureau of Sanitation, organized a meeting with senior staff of San Francisco’s Department of the Environment. Residential Zero Waste Associates. San Francisco has had good success in integrating its recycling work with a contract with Green Streets, a non-profit that provides social serves to low income communities. Between city staff and Green Streets, San Francisco maintains a community presence in the form of 50 trained recycling agents who educate residents about recycling, link them to jobs in the field, and encourage local recycling entrepreneurship. Informed by the San Francisco experience, Los Angeles is developing its own outreach program in low-income communities. The city is seeking to increase the recovery of commercial materials from recycling through a commercial franchise system. By 2017, the City will be divided into 11 zones for commercial solid waste and recycling services, each with an exclusive hauler. Each company that wins a franchise will have exclusive rights to collect waste from all commercial generators but must also provide composting and recycling services that will be closely monitored and regulated by the City. In 30 years, Los Angeles moved from a burn-and-bury strategy to a zero waste strategy while using no new technology, no magic bullets, and no unusual funding sources. Citizen groups organized across racial and class divides and with the support of businesses and eventually by government agencies devised and implemented creative new programs to make Los Angeles a leader in recycling among major U.S. cities. Similarly the recycling achievements across the United States have also been the result of extraordinary coalitions that cross gender, age, race, class and religious barriers. It is true that on a national basis, recycling and composting have plateaued but there are scores of dynamic cities and towns where diversion through recycling, composting and reuse has reached levels of 50, 60 and even 70 percent. These include large cities and counties such as San Diego, San Francisco, Seattle and King County, WA, Austin, TX and Alachua County, FL as well as smaller towns such as Plantation, FL, Concord, NH, Portland, ME, Raleigh, NC, Worcester, MA and North Attleboro MA. It would not be too much of an oversimplification to trace the difference between dynamism and stagnation to the strength and persistence of grass roots organizing. In all cities citizens still face institutional inertia. Agencies prefer the convenience of disposal to the complexity (some might say richness) of recovery. There is also the considerable hostility of giant waste handling corporations and the reemerging incinerator industry which has convinced some states to anoint them as generators of green electricity and therefore, eligible to receive similar incentives to those awarded to solar and wind energy. In many cities citizen activism has waxed and waned, resulting in waste recovery levels that are far above what the conventional wisdom thought possible 30 years ago but far below what has been proven possible today. In many others an active citizenry has organized as a political force that has successfully lobbied for policies that have created a new infrastructure, a new ecosystem and a new ethic. A key advantage to those advocating new policies is that the solid waste system is one of the few sectors of the economy largely under the control of local governments; enabling an organized citizenry significantly determines the goals of the solid waste and recycling system. The nation’s 40,000 local governments have proven fertile ground for a US recycling movement that now supports 65,000 businesses, over one million workers and sales of $300 billion annually that returns close to 200 million tons of raw material (including C&D materials) to US and world wide industry and agriculture. Neil Seldman is co founder of the Institute for Local Self-Reliance and senior staff to the Waste to Wealth Initiative. His scope of work includes helping organized citizens and small businesses stop planned garbage incinerators and invest in recycling and economic development. In Los Angeles, Austin, King County, WA and Alachua County, FL, after helping local groups defeat plans for garbage incinerators, these cities and counties hired Seldman to help plan and implement recycling, resource recovery parks, composting and reuse enterprises. Seldman is a former manufacturer and professor of political science. According to the EPA, only 35% of the national waste stream is recycled, but this figure does not include the recycling rate of 60% for construction and demolition debris (C&D). The city of Worcester, MA saved $99 million in avoided disposal costs since 1993 when they initiated comprehensive recycling. The state of Minnesota has created 138,000 jobs in recycling, composting and reuse over the same time period. Years later, when Yorty attempted a comeback, he pledged to restore curbside recycling. L. Blumberg and B. Gottlieb, “The New Environmentalists: Saying No to Mass Burn,” Environmental Action (January–February 1989), 28. ILSR conducted a national conference of non-incineration vendors in Duarte, CA in Los Angeles County during this period. Marcus went on to become EPA Administrator for Region 9 under President Bill Clinton. Marcus currently serves on the State Water Resources Board, appointed by Governor Brown in 2012 and designated as chair in 2013. It was renamed the California Waste Management Board in 1992. See, http://www.calrecycle.ca.gov/RMDZ/Reports/Zones/. The RMDZ is the city of Los Angeles is not contiguous. 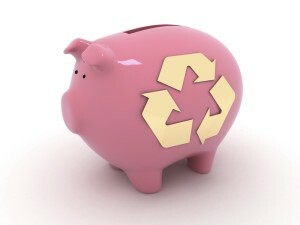 Recycling companies locating on any industrially zoned site are eligible for RMDZ benefits. 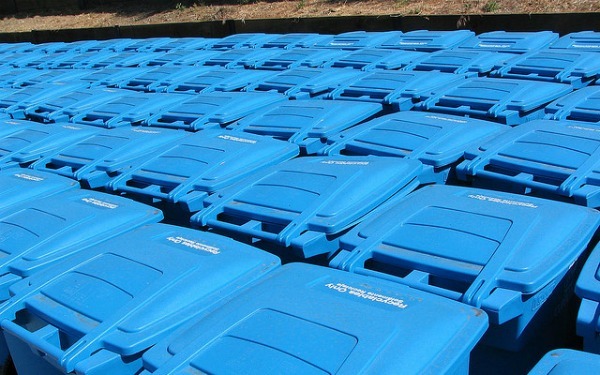 It is difficult to precisely measure and compare recycling rates from city to city. San Francisco, for example counts sewage sludge that is composted, while other cities count materials used as daily landfill cover (shredded yard debris, processed C & D debris) as recycling. The state of Florida counts garbage that is incinerated. LA’s statistics include the recycling of C&D materials. Mr. Good is the former director of the grassroots agency LAANE (Los Angeles Alliance for a New Economy), a grassroots environmental and social justice advocacy organization. Eugene Tseng, “City Of Los Angeles Zero Waste Progress Report,” Bureau of Sanitation/Department of Public Works, March 2013.